We will be on the air today with our host Lady Ty the Great from "Pure Truth Session". 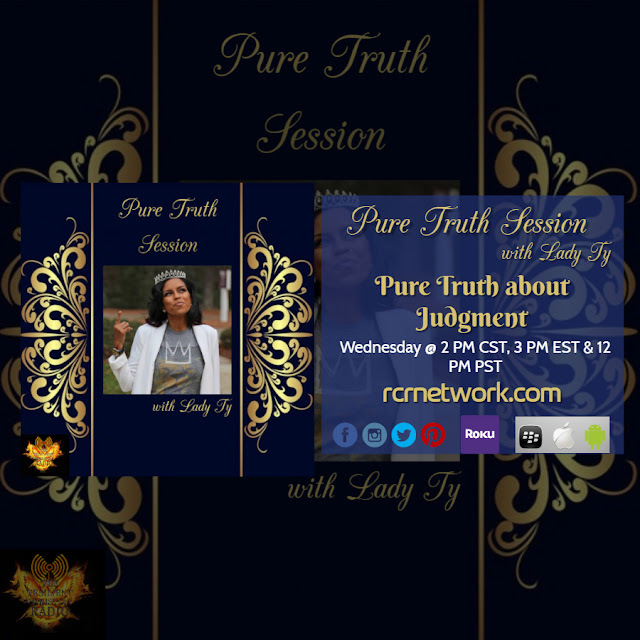 The topic will be “Pure Truth about Surviving Anything (Tonight @ 9 PM CST, 10 PM EST & 7 PM PST)"
Please join us every Wednesday for Pure Truth Session with Lady Ty @ 2 PM CST, 3 PM EST, and 12 PM PST. *For more about Lady Ty the Great visit her on Pure Truth Session with Lady Ty site.